Current stock portfolio values are due on Blackboard Blog! · How can the Law of Demand be used to explain business decisions? · How is diminishing marginal utility reflected on a Demand Curve? · Small group discussion about the Law of Demand. · Teacher led discussion about how the Law of Demand can be seen in the real world. The candidates will develop and execute a marketing campaign for a premium coffee brand. Each team will work within a $75,000 budget and have been challenged to come up with a big idea to match. The team that creates the greatest demand, as judged by company marketing executives, will win. College grads (Magna) chose Danny as CEO; high school grads (Net Worth) chose Angie as CEO. · Was each dollar spent profitably? · How effective was the marketing in driving consumer interest and increasing demand for the product? Watch the assigned episode of the Apprentice online here. Complete the Apprentice Worksheet.Your answers must be in complete sentences, paragraph format, and printed. Apprentice Evaluation Sheets must be turned in before the next episode! · How can the Law of Demand be shown visually? · Students will present their scenarios in front of the class and answer student and teacher questions about the Law of Demand. · Students will be asked to go to the board and create their own Demand Curve. · Why does the Demand Curve shift? · What causes shifts in the Demand Curve? · Teacher led discussion about non-price determinants. · Small group work on change in Demand Curves when tastes, income, substitutions, and expectations are considered. · Students will create two Demand Curves: one traditional and one representing the changes caused by specific determinants. · The students will write a one paragraph analysis of the change to the curve – why it happens and how the effect causes the change. Due: Current stock portfolio values are due on Blackboard Blog! · Teacher led discussion about how the Law of Supply can be seen in college application process. · Students will use the Law of Supply to explain self-generated scenarios akin to the college application process. · Students will present their scenarios in front of the class and answer student and teacher questions about the Law of Supply. · How does one express the Law of Supply visually? · How do the concepts of profit affect supply curves? 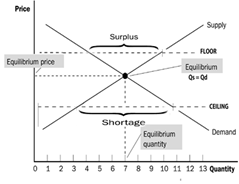 · Teacher created Supply Curve will be used to guide discussion. 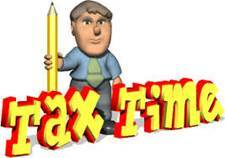 · Students will be asked to go to the board and create their own Supply Curve. This week’s task is to create a commercial for a new body wash product. Each team’s attempt will be judged by marketing experts based on its potential impact on product demand. College grads (Magna) chose Erin as project manager; high school grads (Net Worth) chose Kristen. · Which direction would each ad shift demand for the body wash? Why? · Could you create a better advertisement? How? Your answers must be in complete sentences, paragraph format, and printed. · Why does the Supply Curve shift? · What causes shifts in the Supply Curve? · Student generated Supply Curve will be put up on the board. · Teacher led discussion about profits and how they impact the producer focused Supply Curve. · Students will collaboratively change the curve to reflect either shortage or surplus. · Students will compare the two curves they generate. · Students will create two Supply Curves: one traditional and one representing the change with either product surplus or shortage. · How can combined Supply and Demand Curves be used to explain the creation and change in prices? · How can the effects of governmental action be predicted by examining combined curves? · How can market forces be analyzed with combined curves? · Teacher led discussion about combined curves and equilibrium points. · Teacher created combined curves will be analyzed. · Small group creation of combined curves – students will create the curves and then discuss how prices change with changes to the curves. · Teacher conferencing with each group to clarify impacts of changes on prices. · Same small group activities with the curves except analyzing the effect of governmental action and market forces. · Students will write a one paragraph summary of how combined curves explain changing prices in response to either a change in supply or demand. They will have to create their own scenario in support of their explanation. · How can combined Supply and Demand Curves be used to explain market fluctuations? · How can businesses use supply and demand curves to maximize profits? Students will operate a simulated online coffee shop and make decisions about variable and fixed costs, prices, and marketing in order to maximize their daily and annual profits. Students will then analyze their results by making cost-benefit analysis of shortage, surplus, and equilibrium situations and how they related to their coffee formula and the daily temperature. This MUST be turned in at the end of class today--any assignment turned in late will be penalized 1 point. 1. Log on to the Coffee Shop website. 2. Complete the Coffee Shop Income Statement Worksheet. For this task, each team will be given a 28-foot trailer and a $5,000 budget to create a mobile service business. The team that makes the most profit after their initial investment will win. Tana stepped up to be Project Manager of Net Worth (Street Smarts), while College grads (Magna) chose Bren as CEO. - Were the products or services creative? Were the products appropriate for the target consumer? for the location? -How effective was the marketing in driving consumer interest and increasing demand for the product? You are to follow the transactions occurring on the floor of the BOT Frozen Concentrated Orange Juice trading pit as shown in the excerpt, and analyze the results of each transaction as well as the final outcome and the final market equilibrium. Assignment: Using the Trading Places worksheet, graph the changes in the commodity’s market on a supply and demand curve to estimate equilibrium over the course of the day. 1. Watch Trading Places excerpt online here. 2. Complete the Trading Places Worksheet.